In celebration of Earth Day 2015, Kiss My Itch Goodbye is happy to announce the adoption of Megaloman through Orangutan Outreach (www.redapes.org). Mega is in wonderful hands at the SOCP Orangutan Rescue Center in Sumatra currently enjoying their Baby House (https://redapes.org/projects-partners/socp/baby-house/). We know many of KMIG’s fans are animal lovers; we hope you will consider getting involved in this great effort. 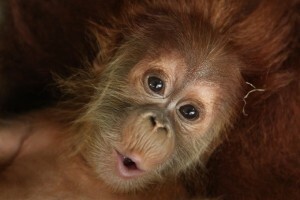 The forests orangutans call home are being decimated at a frightening rate. Sadly, this means that groups like Orangutan Outreach have much work ahead of them. We are very pleased to be just a small part of their large effort.